Read more about Where is the Semiconductor Manufacturing Sweet Spot? Semico Research has just released a mature technology market research study. Wait! Mature technologies? Aren’t those fabs trailing-edge technology, old hat, passé? They may use older technology, but there’s a lot of action there now. For many years, semiconductor manufacturing has tended to migrate from older fabs to newer fabs in a predictable manner. Leading-edge semiconductors such as processors and memory migrated to leading-edge fabs. ASICs and other integrated circuits migrated to the second-generation fabs just vacated by the leading-edge parts. Discretes and other trailing-edge devices migrated to the third-generation fabs. Older fabs were decommissioned. That pattern ended several generations ago. The reasons are complex. It involves economics, diverging memory and logic technologies, new applications which require low power, and market dynamics which include company consolidation. 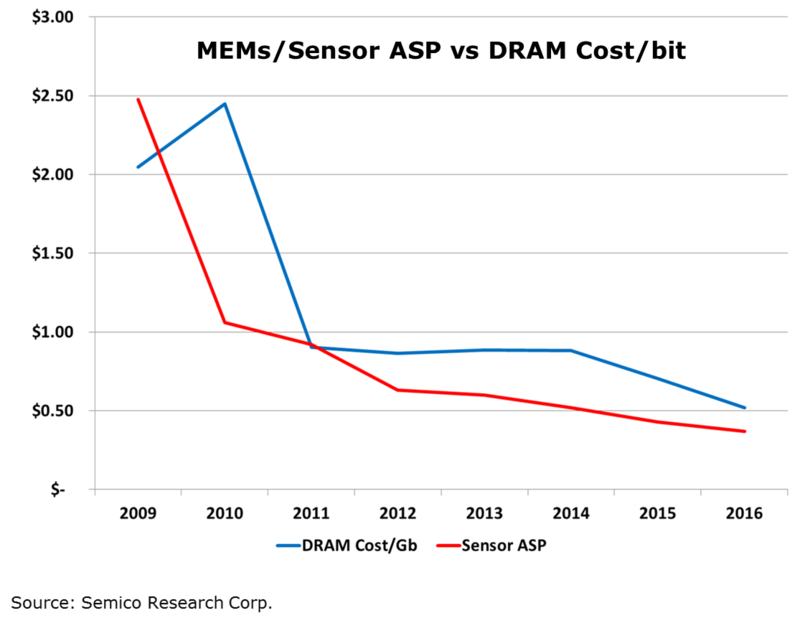 From 2015 to 2016, just three semiconductor segments showed increased revenues: sensors, discretes and linear. What these products have in common is that they use older technologies. Products which utilize advanced technologies such as Microprocessors, NAND and DRAM require a significant amount of investment dollars from the standpoint of both capital as well as R&D expenditures. This is beginning to limit the number of companies that can participate in high-end, advanced technology manufacturing.